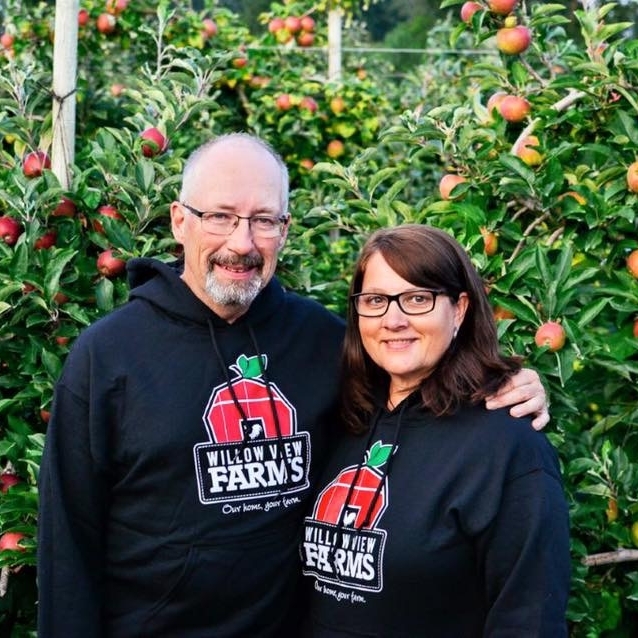 September 2018 marked our 25th year of selling produce directly from the farm. We want to promote the value of keeping local communities strong by inspiring people to support local farms. We try to do this by providing a quality product and good service, making people who choose Willow View feel valued. We want all who come here to feel like a part of this family farm, especially in the Fall as they experience and share in the harvest. U-pick apples, plums, pears, and pumpkins have become a big part of what we do at Willow View. Visiting the farm provides opportunities to "slow down", and enjoy nature at a leisurely pace, while celebrating the enjoyment of local homegrown food. The goal of Willow View is summed up by our motto: "Our home, your farm". Follow along on our farm adventures on INSTAGRAM!